No tsunami warnings have been issued for these two quakes. An incredible double strike hit a 250km area of the South Pacific last night. A magnitude 6.9 - 99km NNE of Ndoi Island, Fiji and a magnitude 6.4 - 125km WNW of Neiafu, Tonga struck along the Tonga Trench last night just twenty minutes apart. Luckily there is a low likelihood of casualties and damage. September has recorded 8 major quakes in the last 8 day's. 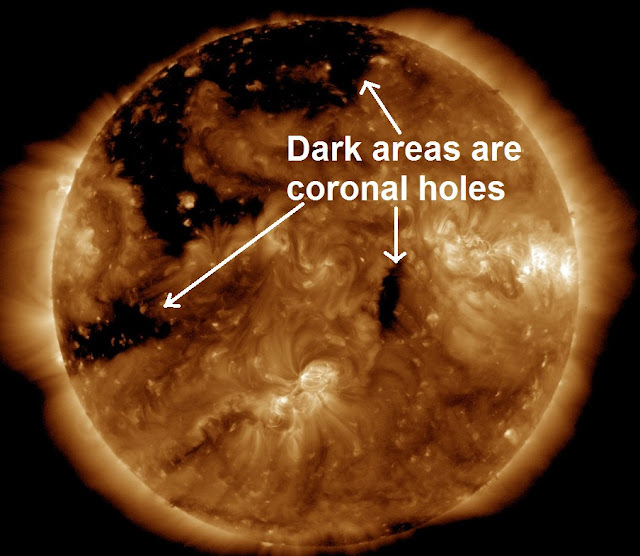 We can expect more major quakes in the coming week as a large coronal hole on the sun turns to face the earth, coronal holes are thought by many experts to influence seismic activity here on earth, see below. A large coronal hole is emerging over the sun's eastern limb. Credit: NASA/SDO. A magnitude 6.1 - Izu Islands, Japan region is this years 100th major earthquake!